These days dogs are part of the family...and training makes a good family pet even better! All owners must show proof of vaccination up to dog's age, including Kennel Cough. prior to enrollment. Ann has over 25 years experience as a Veterinary Technician and has had dogs most of her life. She started training dogs at an early age and still believes in having a well-trained and behaved dog. ZeeDee, Ann's little Australian Shepherd, has been in training since she was 9 weeks old. ZeeDee has her Canine Good Citizen (CGC) title, and has trained in and earned numerous agility titles. She qualified for the 2012 AKC National Agility trial, but was unable to participate due to an injury. Later, she qualified in and ran at the 2015, 2016 and 2017 North American Dog Agility Council (NADAC) Championships - and took 1st Place at the 2017 Championships!! Ann also has a passion for horses, and owns two, Lilac and Ringo. ZeeDee runs along with them when Ann rides out on the trails. Ann enjoys all her animals, and loves helping others learn so they too can achieve a well-trained pet for their home. 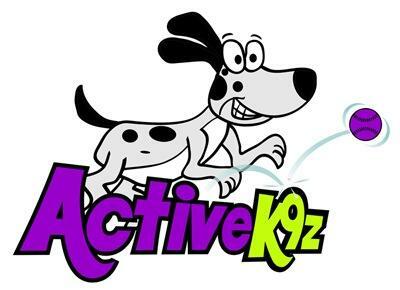 Visit the Active K9z, LLC website here for more information!